We are a culture of coffee drinkers. According to a recent USDA report, the United States is the second largest consumer of coffee in the world. Yet, most of the population regards coffee simply as a means to a caffeinated end. On a recent Thursday night, Everybody's Coffee and the Abbey Wilson Theater offered a different perspective to the coffee-drinking public, hosting the Chicago premiere of A Film About Coffee with some of Chicago's top roasters. The evening was an eye-opening celebration of the city's thriving specialty coffee culture with tastings, demonstrations, and prizes. Everybody's Coffee supplied ever-replenishing trays of both sweet and savory baked goods (the tomato focaccia was particularly delicious) while roasters shared their wares. Bow Truss Coffee Roasters offered espresso drinks, highlighting the differences between the more traditional Foundation blend and a single-origin Kenya option, which is brighter and fruitier. Metropolis Coffee Company (Edgewater) slung samples of its rich, chocolatey cold brew--soon to be sold in bottles--while Counter Culture Coffee (North Carolina; Chicago training center) provided samples of pourover coffee, such as the Finca Mauritania ("finca" means "farm") from Santa Ana, El Salvador. Other vendors focused on educating guests. At the PassionHouse Coffee Roasters (West Town) booth, guests donned blindfolds for an interactive palate test. HalfWit Coffee Roasters (Logan Square) handed out samples of a punch made with cascara--the oft-forgotten fruit that surrounds the coffee bean, which is actually a seed. While cascara tea has been historically consumed in most coffee-drinking countries, this naturally sweet, yet tart, beverage is relatively unknown elsewhere. Rishi came down from Milwaukee to represent the tea faction, serving samples of Ruby Oolong and explaining the differences between producing tea and producing coffee. For someone unfamiliar with the world of craft coffee, these demonstrations provided an essential, taste-first preview. The documentary--which had its world premiere last year in Seattle and has been on something of a tour ever since--brought the big picture into clearer focus. A Film About Coffee sheds light on the specialty coffee industry, explaining the economic and philosophical differences between specialty coffee and commodity coffee. Like other commodities, much of the world's coffee is produced and purchased without regard to quality, and as the film points out, standards are often quite low. On the other hand, specialty coffee is valued for the producers' artisanship, and their ability to capture the unique qualities and flavors of their growing regions. Baristas at specialty (or "third-wave" coffee shops seek to enhance these unique flavors, and so their roasts are often quite light, as opposed to the darker roasts preferred by "second-wave" chains like Starbucks, the first to introduce high-end coffee to consumers. According to specialty coffee pioneer George Howell who was interviewed in the film "dark roast covers things, like a heavy sauce," while light roasts enhance the delicate nuances in coffee that make each batch special. This type of deep appreciation is evident in the growing number of third-wave shops not just in Brooklyn and Seattle, but across the country. According to the film, the commodity coffee industry has been stagnant since the 1960s, while the specialty coffee industry grows about 10 percent each year. 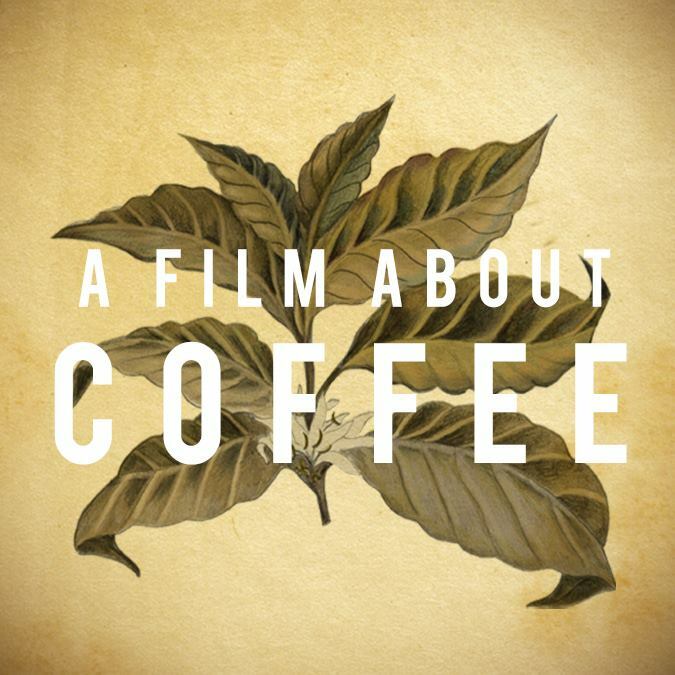 In addition to industry legends like Howell, the documentary also features coffee producers from Rwanda and Honduras, baristas, and the owners of some of the biggest players in specialty coffee: Blue Bottle, Stumptown, and Counter Culture. Conspicuously absent from the film is Chicago's contribution to the "Big Four": Intelligentsia. In an interview with The Boston Globe, director Brandon Loper said that he "regret[s]" not including Intelli, because "they are an important part of the story." For its part, Everybody's Coffee produced a short trailer about Chicago's thriving specialty coffee scene to pair with the documentary. It featured roasters from the night's events and others, including Metric (West Town) and Ipsento (Bucktown)--all of which are members of New Gotham, an organization that seeks to "connect coffee professionals and enthusiasts throughout Chicagoland and beyond." New Gotham sponsored the latte art "throwdown," the event that closed the night. In a throwdown baristas (or anyone with the necessary milk skills) compete to see who can pour the most expert latte art--those delicate hearts and flowers you may have seen on top of your espresso drink. With only a pitcher of steamed milk and their wits, competitors "free pour" their designs into a double shot of espresso. The contrast between the milk and the crema make the latte art possible. Each cup is judged on its symmetry, contrast, creativity, and difficulty. Matthew Gasaway of Intelligentsia won first place. Andreas Willhoff of The Wormhole Coffee took second, and Antonio Sala of La Colombe came in third. The crowd was a refreshing mix of both coffee and non-coffee professionals. The specialty coffee industry can sometimes feel like an exclusive community, which is perhaps why this event felt so dynamic. To learn more about upcoming Chicago coffee events, check out New Gotham's calendar. No, you're probably familiar with the world of craft coffee. Kraft coffee is also known as Maxwell House.